I am only in my early 20s and my skin is looking older than it should be. It's so dry too, accelerating the aging process of my skin. When I was offered to try the Shiseido Aqualabel Special Gel Cream, I jumped at the opportunity! It is packed full with Collagen GL, source of plump & firm skin. Honestly I got a shock at how simple this red jar is. Just "Special Gel Cream", no exaggerated words or desperate tries at trying to convince buyers. Guess they are confident in their product. Each new jar comes with the silver sticker and the white cover which prevents product from spilling out. Before using, open the cap and remove the cover. If you travel occasionally, you might want to keep the cover. Screw the cap back on and make sure it doesn't fall! I can foresee that it'll be pretty messy. 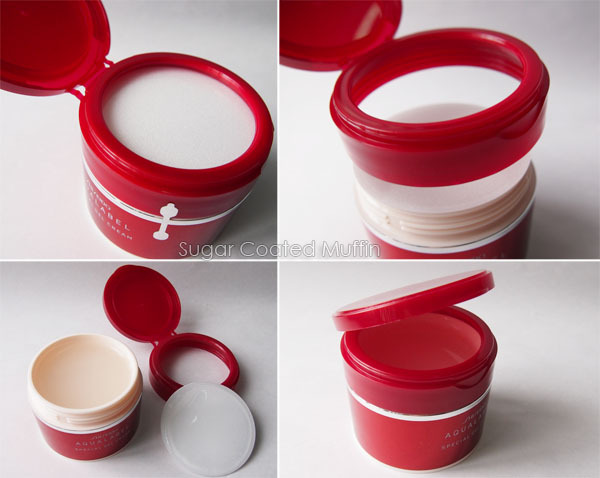 The Special Gel Cream has a thick jelly like consistency. In the jar, it appears to be pretty watery but it won't drip even when I hold it upside down! It's as though it attaches itself to the surface and refuses to let go. You don't need much for your face. This amount here is already too much for my whole face. As I spread it, you can see that it looks quite different from other products. Reminds me of the consistency of jam.. It fully absorbs very quickly without leaving any shine or greasy feel. Love! Feels as though the moisturizer penetrated deep into the layers of my skin instead of just sitting on top. I use this twice a day, morning and night. As it boasts to be a 5-in-1 product, it is the only product I use. Surprisingly, it was sufficient for my skin! Here are some photos to make you go wow! B : First application. 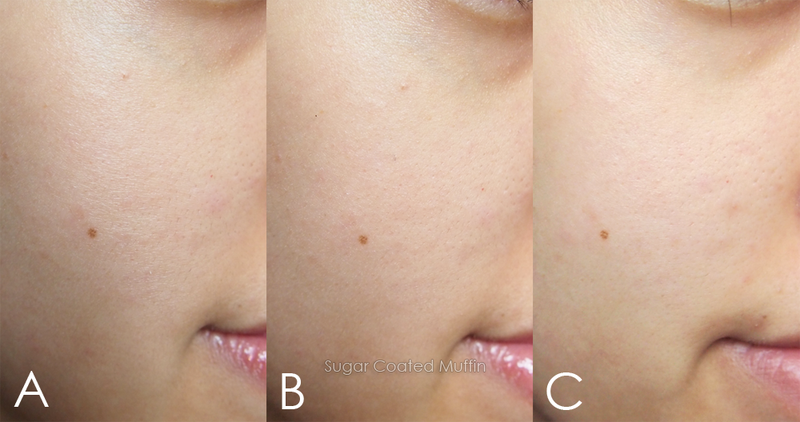 Skin immediately looks better! Lines are still there but not so horrid. C : Now, you can see that my skin is looking so much better. Collagen is an efficient water binder so it keeps my skin hydrated resulting in smoother skin. It also supports the epidermis and helps rebuild cell structure. Can't really see? Here's a super closeup. I swear no Photoshop involved apart from cropping and lighting! 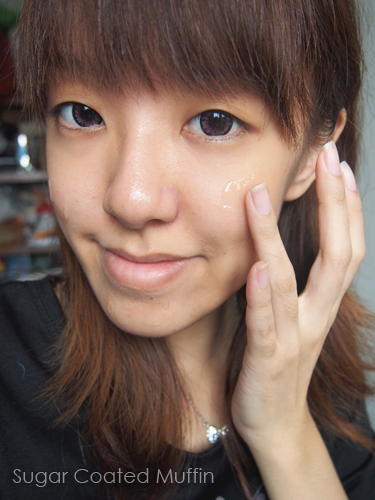 Applied a thick layer as overnight mask and I woke up to slightly brighter skin. I wouldn't say it can replace a sleeping mask though. Based on the results (photos as proof! 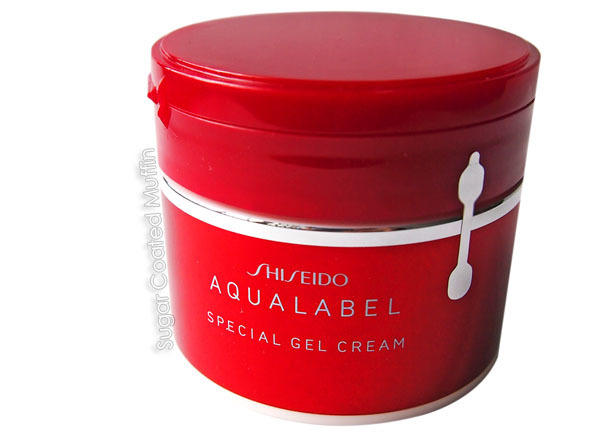 ), the Shiseido Aqualabel Special Gel Cream seems to have great potential to help my skin and I will definitely continue to use it. 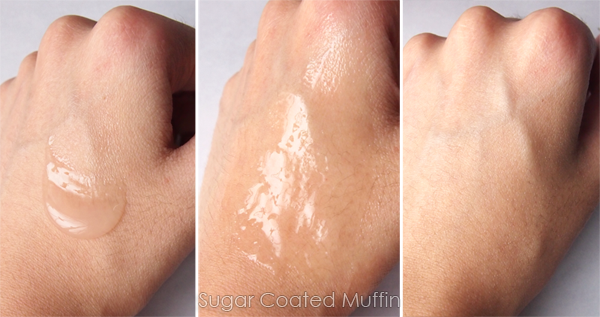 Ingredients : Water, Glycerin, Butylene Glycol, Dipropylene Glycol, Dimethicone, PEG-240/HDI Copolymer Bis-Decyltetradeceth-20 Ether, Silica, Sodium Chloride, Gellan Gum, Prunus Armeniaca (Apricot) Juice, Phytosteryl/Octyldodecyl Lauroyl Glutamate, PEG/PPG-14/7, Dimethyl Ether, Sodium Hyaluronate, Hydrolyzed Collagen, Sodium Acetylated Hyaluronate, Solluble Collagen, Sodium Citrate, Sodium Metaphosphate, Acrylates/C10-30 Alkyl Acrylate Crosspolymer, Potassium Hydroxide, Citric Acid, BHT, Tocopherol, Phenoxyethanol, Methylparaben, Ethylparaben, Sodium Benzoate, Fragrance. Your skin does look much nicer, and softer too, does it feel softer? It claims it can replace 5 produces, but does it? I mean it looks like a really good product but I want to know if it really can do that much. Also, can you tell us what is the full size retail price? Thanks for replying ^_^ Glad to know! Can use it everynight& day? Can you explain how to use clearly?